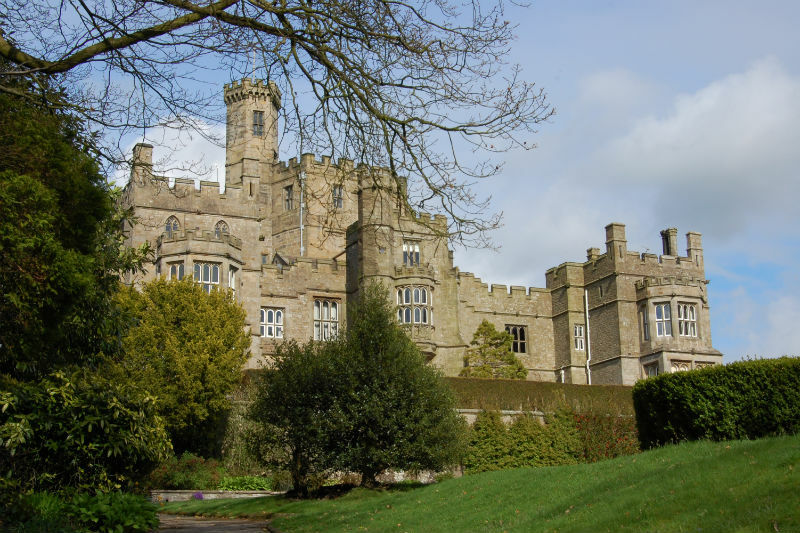 Hornby Castle is a private family home situated on the edge of the Lake District in Lancashire, north west England. The castle sits on a hill with dramatic views overlooking the Lune valley and Ingleborough. It is set in beautiful grounds with its own private fishing, clay-pigeon shoot layout and lovely walks. The central Keep tower dates back to 1512 but the house was rebuilt c1820 in early Victorian style with splendid ornate ceilings and carved wood panelling. Come and stay at Hornby – we have a B&B apartment ideal for searching the area, walking or just relaxing, find us on AirBnB – Stay in a castle. It is occasionally available to rent for very small private functions, special events, film locations and garden performances. Get in touch to find out more. You can visit Hornby Castle Gardens on one of our open days. Hornby Castle Garden Open Days.